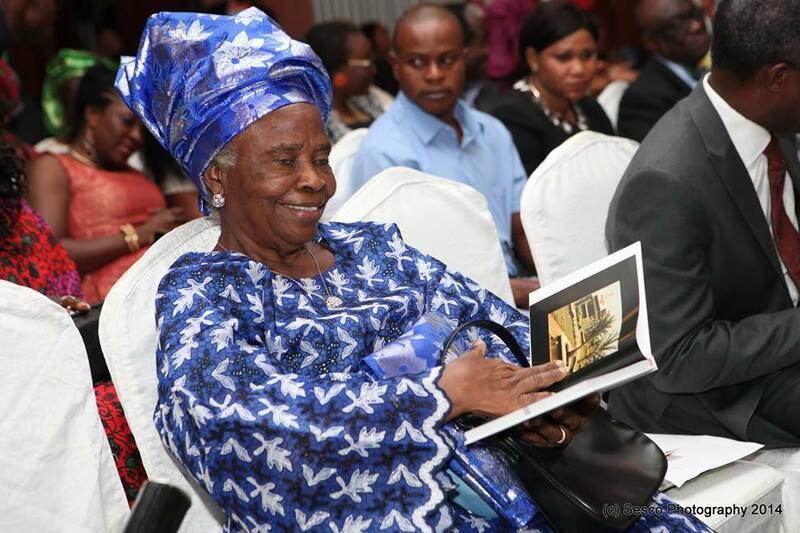 Madam Olubisi Osinbajo, "...I feel contented at 80..."
Madam Olubisi Osinbajo, the mother of the Vice President-elect, Prof. Yemi Osinbajo, said on Wednesday that God had revealed to her that Nigeria’s lost glory would be restored. government would guarantee peace and tranquility in the country. She said; “I give God all the glory for the success of the elections. “It came to me that God said He will restore Nigeria and everybody in the world will rejoice with Nigeria. “Today, when I was praying, I saw this, do not sorrow, for the joy of the Lord is your strength. That is what God said to Nigeria. “So, I don’t want to say anything than to thank God for what is happening in Nigeria now, because it is just too marvelous. Madam Osinbajo was born at Ibadan, Oyo State on Feb.16, 1933 to Mr Thomas Aiyegbayo, from Osun State, while her mother was from Ilaro, Ogun State. She attended Durbar School in Oyo town for her primary education and later went to Methodist School also in Oyo town before she proceeded to Sagamu Girls School, Remo, Ogun in 1946. Madam Osinbajo later proceeded to Teacher’s Training College in Sagamu and soon after completion of the programme, she went back to the school to teach. She told NAN that she met husband, husband, Opeoluwa Osinbajo, when she was teaching. The vice president-elect’s mother said that she established a school in 1992 to train children without consideration for the financial gains and later donated it to a Christian body to run. She said this was because she does not want to do any business after she had turned 80.